Cher Heller Olson is a native of north central Kansas and has spent the last several years living near Council Grove in the Flint Hills of Kansas. She received a B.S. in art education from Kansas State University and spent time teaching in Australia. She also taught in the Concordia School District and at Cloud Community College. 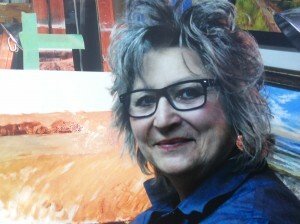 Her media includes oil, acrylic, and pastel. She is a member of the Missouri Valley Impressionistic Society and Columbian Artists.